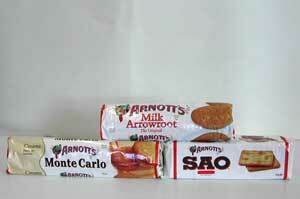 Arnotts has been baking biscuits in Australia for over 100 years and is a true Australian Icon! Arnotts may be the worlds most loved cookies and crackers as they are exported to South Pacific Islands: Samoa, Tonga, Fiji Islands, New Zealand, North Pacific, Asia, and Europe. As the saying goes for Arnotts Theres no substitute for quality. Arnotts biscuits are baked fresh for us with premium quality ingredients and dipped in delicious chocolate! 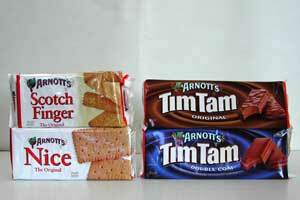 Our company imports a large range of Arnotts biscuits, plain biscuits: Milk Arrowroot, Scotch Finger, Nice, Ginger Nut, Arno Shortbread, Milk Coffee, Glengarry and many more, chocolate biscuits: Tim Tam Original (one of the worlds most famous biscuits), Tim Tam Double Coat, Tim Tam Dark Chocolate, Tim Tam Caramel, Tim Tam Chewy Fudge etc, Chocolate Royals, Gaiety, and many more, cream biscuits: Monte Carlo, Shortbread Cream, Lemon Crisp, Delta Cream, Chocolate Creamy, Orange Slice, Iced Vovo, Kingston, Triple Wafer, and many more, crackers: Sao Biscuits, Water Crackers, and more. If you cannot find a flavor you are looking for please contact us. As they say in the beautiful tropical islands “MA PAKU PAKU” and “MASI” FIJI. 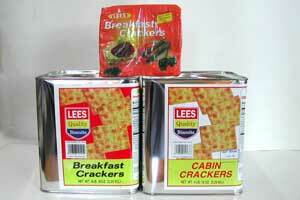 Lees Biscuits are Fijis most favorite crackers. They have been baked in Fiji Islands for many decades! 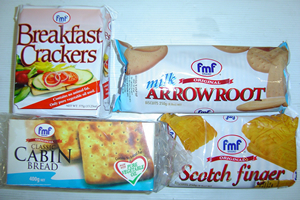 Favorite crackers of Tongans, Fijians, and Samoans, Kapa Ma Fisi, Apa Masi Fiki. Lees brand are the original Fiji Crackers and baked fresh with premium quality ingredients for us. 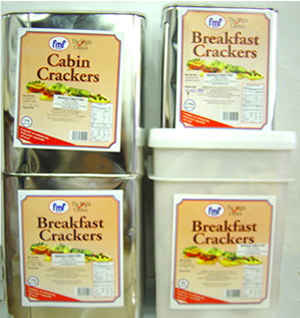 Available in Cabin Crackers and a bit softer Breakfast Crackers in 13oz packets and 5lb & 10lb size cans. Lees bakes a better biscuit! Big Sister Fruit Cakes and Puddings are Australias most loved and one of the worlds most famous brands of cakes! Big Sister Fruit Cakes are baked to their delicious stay moist recipe. Baked in Australia and exported all around the world since 1945, Big Sister Fruit Cakes and Puddings are true icon of Australia. They are baked with premium quality ingredients and contain 36% delicious Big Sister fruits to ensure great famous flavor that many generations have grown up to love! Big Sister Fruit Cakes make great treats for the Holidays or anytime of the year and goes great with tea, coffee, hot milk or cold milk. Do not forget your Big Sister during the Holidays or anytime of the year! 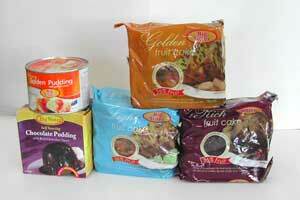 Big Sister Fruit Cakes and Puddings are available in Golden, Rich, and Light.